The beginning of our universe is evidently troubling for atheists judging by their responses. For a start, philosophical reasoning shows that it is not possible to have an infinite regress of past events. Couple that with persuasive scientific evidence from cosmic expansion and the second law of thermodynamics, and we needn’t doubt that the universe had its finite beginning in the Big Bang. 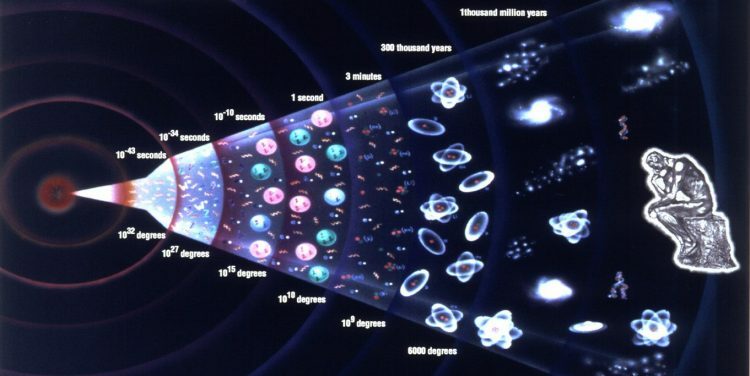 According to prominent cosmologist Paul Davies, “the big bang represents the creation event; the creation not only of all the matter and energy in the universe but also of spacetime itself” (1). Atheist scientist Stephen Hawking chimes in that “almost everyone now believes that the universe, and time itself, had a beginning at the big bang” (2). Of course, it smacks of divine intervention precisely because we are dealing with a creation event from nothing, and that could only be reasonably explained by a new effect brought about by a personal creator. That’s pretty much the sinker for Hawking’s proposal but, on a further note, Hawking is already assuming that something exists, namely gravity. So, when Hawking says “the universe can and will create itself from nothing” he doesn’t actually mean nothing in the sense of no thing which is the complete absence of space, time and matter. Instead, according to him, gravity already exists, and because gravity exists the universe can be brought into existence. So, Hawking hasn’t made a single step in the direction of explaining how the universe can come into existence from nothing. Davies, P. “Spacetime Singularities in Cosmology,” in The Study of Time III. Hawking, S. 1996. The Nature of Space and Time.p. 20. Schumacher, R. An Examination of Atheism’s Truth Claims. Wolpert, L. 2007. The Hard Cell. p. 18. Hawking, S. 1988. Brief History of Time.p. 46. Dennett, D. 2006.Breaking the Spell: Religion as a Natural Phenomenon. p. 244. Craig, W. 2010. The Best of the Kalam Cosmological Argument. Hawking, S. The Grand Design. p. 180. Lennox, J. 2010. As a scientist, I’m certain Stephen Hawking is wrong. You can’t explain the universe without God.